PJM Interconnection, the largest grid operator in the U.S., set a new winter peak record this morning shortly after 7 a.m. at 139,069 megawatts. The peak could be broken again this afternoon, as energy use is expected to rise even higher as people crank the heat when they come home from work. The peak is expected to top 140,000 megawatts. The previous winter peak record of 136,675 MW was set in February 2007. 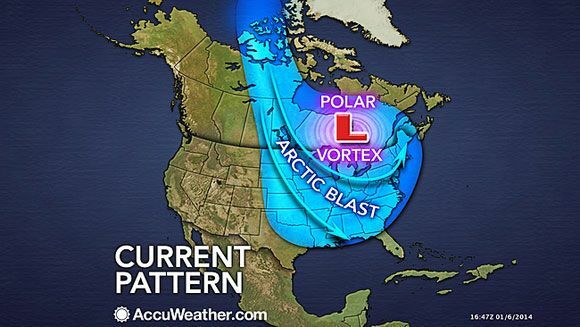 The energy use is driven by a polar vortex, which has caused record-setting low temperatures across much of the country. While other grid operators have not set new peaks, nearly every system operator has been stretched thin in recent days. 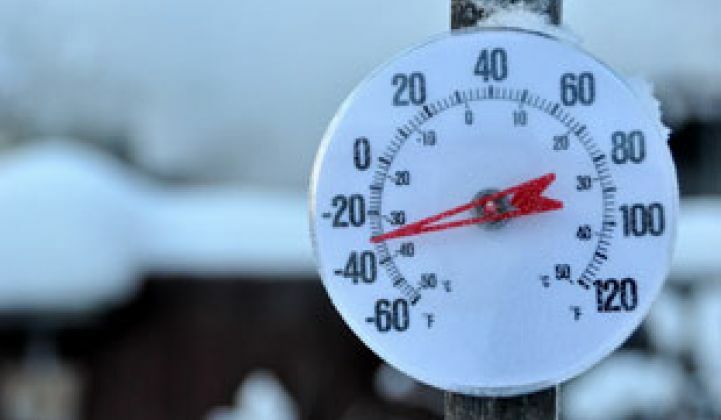 “We are several days into some record-breaking temperatures in PJM territory,” said Michael Kormos, executive vice president of operations at PJM, in a conference call on Tuesday. PJM’s highest-ever summer peak is 163,670 megawatts, but the grid operator also set a new peak for the month of September in 2013. PJM is calling on demand response, appealing to consumers to conserve electricity, and implementing some emergency procedures to keep up with demand. The grid operator issued a maximum generation alert yesterday, asking generators to be ready to offer their maximum output. On Monday night, PJM also issued a 5 percent voltage reduction on the system. On Tuesday morning, PJM called upon all of its demand response programs, and it expects to do so again this evening. Kormos estimated it needed about 500 megawatts in the morning and could use as much as 3,000 megawatts of load shedding later today. Although it's too early for exact figures, EnerNOC said this was its largest winter dispatch in the company’s history, but since it falls outside of the mandatory compliance summer season, lower participation is expected. ERCOT is another region that has called upon demand response as the frigid weather in the U.S. dipped all the way down into the Lone Star State. Comverge, which has dispatched in ERCOT and PJM this week, has found that customers are receptive even though it’s not mandatory to shed load. “Customer performance is commendable and shows that DR customers in general are committed to providing needed reliability,” said Jason Cigarran, Comverge’s VP of corporate marketing and communications. Reliability is just one part of the picture. For the first time, spot wholesale prices in Texas reportedly topped $5,000 per megawatt-hour on Monday. The different regions are all trying to bolster one another when possible. PJM has purchased power from New York and the Midwest grids at several points over the past few days, as well as supplying power down to the Southeast. “This particular cold is far-reaching, and most of our neighbors are experiencing the same extreme conditions that we are,” said Kormos. PJM did not offer details on failed generators, but extreme cold can cause many problems, including issues with natural gas pipelines and mechanical problems at power generators. ERCOT, which was near its winter capacity at more than 55,000 megawatts on Monday, did not have the blackout issues it did in February 2011. In the wake of those winter blackouts, ERCOT worked with generators on improved winterization measures.